Ibiza 1977, actress and puppeteer Ingeborg Schaefer has been murdered in her house, around her puppets with their heads shattered. On the night of July 26, Ingeborg and her puppets were cruelly silenced, in the unresolved police case “The Crime of Puppets”. 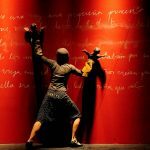 The work based on a real fact, is approached by Andrea Cruz, creator and interpreter that fuses dance, gesture and puppet theater. “Dulce Ingeborg, the crime of puppets”, transits the performance to investigate this truculent history, drawing on the language of the documentary police with certain doses of black humor. During the Puppet Festival of Lleida, in the year 2011, photojournalist Carles Domenech and Andrea Cruz held an interesting conversation in which he recounted the case of the DULCE INGEBORG: Andrea was fascinated by the event and, at the time, he considered moving it to the scene. Later, dolls constitute the bond that joined Carles Domenech, who as a child had been a spectator theater Ingeborg Schaefer Ibiza- Eduardo Jimenez, Chilean designer also dedicated to the construction of puppets and Andrea Cruz, performer and director Scene passionate about the world of animated objects, particularly puppets. 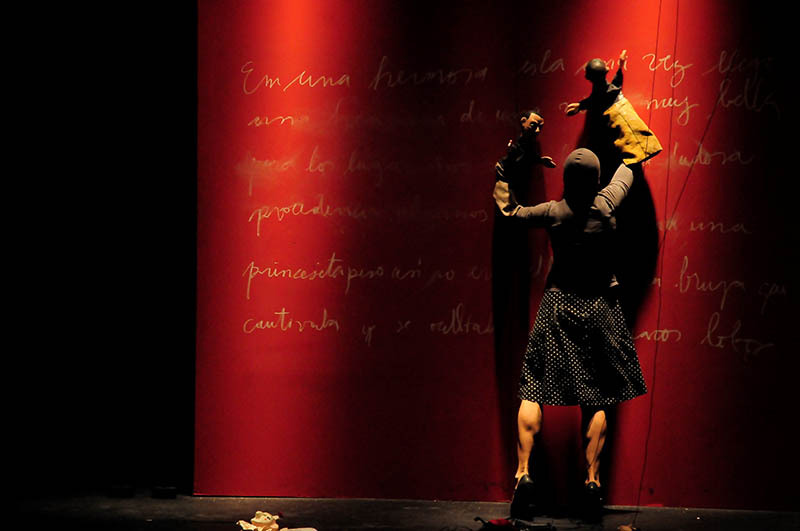 With the scope of the puppets in common as fundamental perspective, Carles, Eduardo and Andrea met for, going beyond the merely anecdotal, sign up on the stage to the background of a macabre story in which creator and puppets are, at the time, protagonists and victims. The reflection which, ultimately, is projected to the work, is profound because it involves different questions of the utmost importance, even if it essentially uses the plastic form. On the one hand it proposes tacitly a reflection on mortality and immortality (philosophically, about the soul), in dealing with the murder of Ingeborg in parallel to the “death” of her puppets, representing what actually happened while they could only deform the puppets since there is no extraction of the spirit: the dolls will, therefore, try to work back to breathe life to the creator who gave them birth and endowed them with expression. The following suggestion explores the probable intimidation of certain fugitives nazis feared for their own compatriots – that perhaps only at one time had been supporters of the ideology or that perhaps never were really – could betray them. This induces, as a still hot cause, the terrible memory that shows Franco historically engaged in concealment and protection from the nazis persecuted, settled in certain parts of Spain that, previously, thanks to the collaboration of the dictator, they could choose as a cache. The last question that raises the work perhaps is the most subtle, though difficult to ignore in the common memory: the impact of the crime in those children, as Carles – men and women today, finally and after, always living with the enigma – religiously, every Saturday, constituting the naive although passionate public of Ingeborg Schaefer in the foyer of her home in Ibiza. I’m artistic director, choreographer, performer and scenic designer. 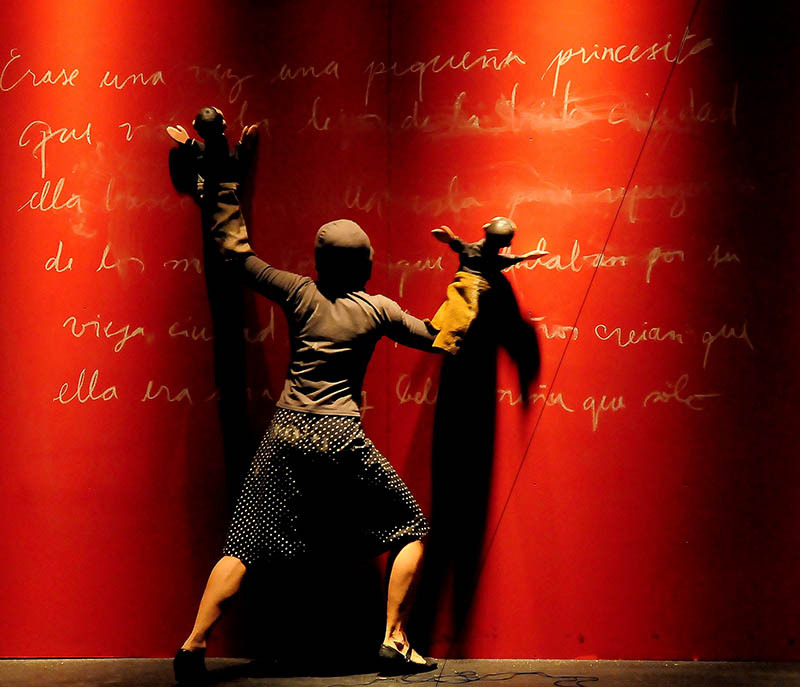 I develop my work around the scene of dance, gesture and objects, creating a poetic and visual work. My work has been recognized by the commitment I take with the new languages and by the solidity of my interpretation. I am interested in crossroads: My research draws on contemporary Western expression and oriental artistic manifestations: The Butoh Japanese dance, Peking Opera, Bunraku, traditional dance and theater of India. 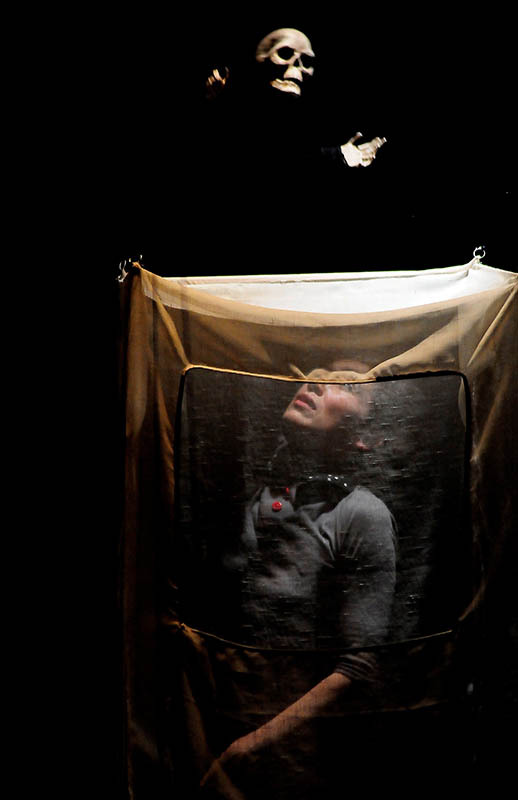 I have been co-founder and co-director of the company AuMents together with Tomeu Gomila for 15 years, in which we travel to festivals around the world and receive awards for the direction, interpretation or assembly of the shows we create.